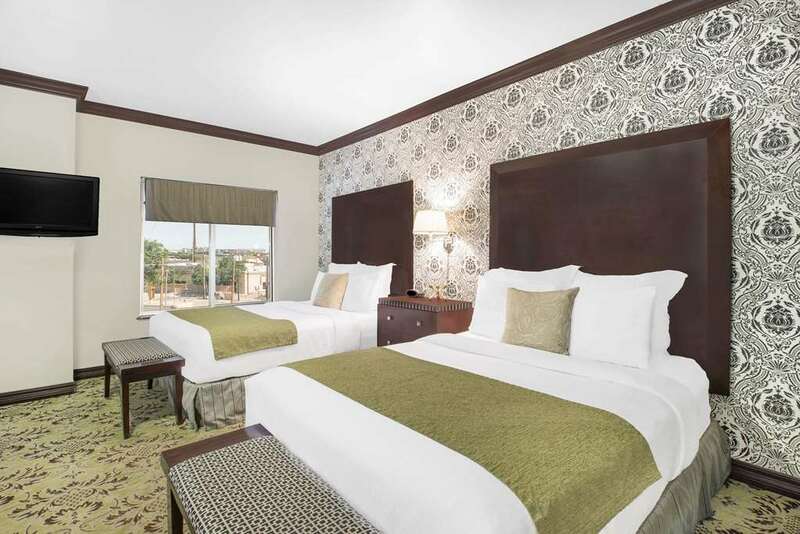 Stay close to everything at this Hawthorn Suites by Wyndham Lubbock hotel, just off the Marsha Sharp Freeway and only minutes from Grace Clinic, Texas Tech University and Covenant Hospital. This hotel, which welcomes pets but does not allow smoking, provides a complimentary hot breakfast, complimentary wireless Internet access, and a complimentary daily paper. Relax in the heated indoor pool and jetted tub, and stretch road-weary muscles in the fitness center. Each spacious room comes standard with kitchenette or full kitchen, perfect for longer stays, as well as pillow-top mattress, flat-screen TV and separate work area. The hotel offers laundry facilities, banquet and meeting space and a business center with complimentary wireless Internet and computer access. There is a bar on the property as well as a convenience store for last-minute items, and there is no charge for kids through age 17 when staying with adults. Managers Reception offered Wednesdays 5pm-7pm includes complimentary wine, beer and food.